For people who have a sensitivity to waxing but want to enjoy the hair-free zones it produces, sugaring can be a great solution. 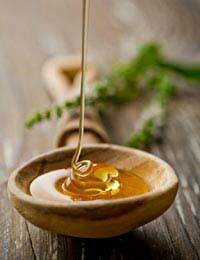 Conceived centuries ago in the Middle East (it sometimes is referred to as "Persian Waxing"), sugaring it is a natural way to remove unwanted hair that requires nothing more than sugar or corn syrup/molasses, water and lemon juice. After the three ingredients are mixed together to form a thick paste, they then are applied to the skin and whisked off, to leave the area free of hair. The area that has been sugared is soft and remains stubble-free for a lot longer than it would with shaving, and some people say this process even discourages hair from growing back faster, with regular use. Two main types of sugaring methods are used: strip sugaring and hand sugaring. Which method is preferable for you depends on your personal choice; however, each does have its particular advantages and disadvantages. 1 Make a sugaring paste using household items such as cornstarch, molasses or sugar, and water. Alternatively, you can buy a pre-made paste from your drugstore or beauty salon. Usually the proportions are uniform: one unit of sugar is used to 1/8 unit water and 1/8 unit lemon juice. 2 Heat the ingredients together slowly in a saucepan until they turn a golden colour, then let them cool to room temperature. 3 Dust the area to be sugared with either talcum powder or corn starch, then spread the paste on either by hand or with a spatula/wooden spoon. 4 Press a strip of cloth (not paper) that is porous onto the skin that has the mixture on it, then pull off quickly against the direction of hair growth. When done correctly, you will see that hair has come off with it. 5 Make sure you hold skin tightly with one hand while you pull strip off with other. And leave a bit of the strip free (without any paste underneath) to make it easy to pull off. 1 Follow steps 1 and 2, above. 2 After the paste has been applied, lightly roll it away with your fingers, taking both the hair and the hair root with it. 3 This technique can require more skill, but is good to get rid of hair in areas where strips are not appropriate, such as ear hair. It also works well when you don't happen to have any cotton strips handy! Sugaring is preferable to waxing for many people. As it does not need to be heated to such a high temperature as wax does, therefore the risk of burning the skin is eliminated. Also, many people say this makes it a lot less painful than waxing, although some skin irritation may occur. Sugaring is also completely natural, which is important to those people who want avoid the use of harsh chemicals. It is also preferable as an epilation technique when you want to get rid of hair on smaller parts of the body, such as the face. This hair removal method is also a cheaper alternative to waxing and can be done easily at home, although it takes practice. Some people, however, say that sugaring is messy and that it can be quite difficult - at least in the beginning – to make up the paste correctly. Sugaring also has the potential for infection or skin irritation, and it can be difficult to do yourself on hard-to-reach parts of the body such as the back. Many people prefer it on the legs, arms and facial areas only, although some men also see it as a convincing way to remove chest hair. Whether you want to try the hand sugaring or the strip sugaring method is up to you, although results are usually more even with the strip method. In any case, sugaring can give you smooth, silky skin with slower hair regrowth, and for many people is definitely the epilation method of choice.